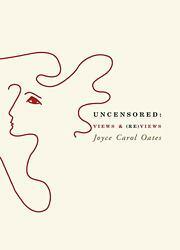 A seventh collection of the tireless Oates’s industrious literary journalism: 38 recent reviews and essays. A grouping rather coyly titled “Not a Nice Person” includes understandably lukewarm considerations of the presently overrated Patricia Highsmith and the wildly uneven Sylvia Plath, a nicely reasoned defense of Willa Cather, and balanced assessments of Robert Penn Warren (whose classic All the King’s Men is, Oates cogently argues, in its “restored text” version a deeply flawed novel) and Richard Yates (whose downbeat stories have a saving intensity that seems to elude her). Oates is a generous and perceptive commentator on “Our Contemporaries, Ourselves,” notably E.L. Doctorow (whose City of God strike her as “that rarity in American fiction, a novel of ideas”); underrated British novelist Hilary Mantel; William Trevor (whose great strengths and frustrating weaknesses she deftly analyzes); and several writers (including Mary Karr, Alice Sebold, and Ann Patchett) of what Oates calls “the New Memoir: the memoir of sharply focused events, very often traumatic”). “Homages” include generic and only moderately interesting essays on Emily Brontë, Ernest Hemingway, and the painter Balthus—but also a welcome endorsement of Carson McCullers’s brilliant early fiction and a summary meditation on the complex, often misunderstood figure of heavyweight boxing champion Muhammad Ali. Several concluding “(Re)Visits” look backward at Hawthorne, Thoreau, emergent major novelist Don DeLillo, Tod Browning’s 1931 film Dracula, and the aesthetic choices that shaped her own earlier books, lately revised and reissued. Throughout, Oates writes clearly and states cases persuasively—but does tend to burden reviews of individual books and writers with needlessly detailed contextual information (e.g., informing us that Ed McBain/Evan Hunter “virtually created” the contemporary police procedural). Nonetheless, it’s useful to know what good writers are reading and thinking about, and if Oates the critic doesn’t always dazzle, she seldom disappoints.